Andrew grew up on a farming property near Harrow in western Victoria. He started caving while still at school exploring the local volcanic caves located near Byaduk. It was while Andrew was studying Agricultural Science at La Trobe University that he commenced cave diving in the water filled sinkholes and caves of the lower south east of Australia. Andrew went on to become one of Victoria's first PADI dive instructors, a CDAA cave diving examiner, and one of Australia's most recognised cave divers. In 1988 Andrew organised an international cave diving expedition to explore Pannikin Plains cave, a large mostly water filled cave located on the Nullarbor Plain in Western Australia. In the final days of the expedition, a rare cyclonic storm hit the area and the deluge of rain resulted in a flash flood that funnelled into the cave causing the entrance to partially collapse blocking the main route out of the cave. Fifteen team members were trapped below ground and it took over 24 hours for an alternate route to be found and each of the team to gingerly make their way over an avalanche of loose boulders back to the surface. The expedition had been captured on film and Andrew produced the award-winning documentary, "Nullarbor Dreaming", which subsequently launched his film career. Andrew's diving, cave diving and filming career continued from 1991 to 2000 with the TV series "The Deep Probe Expeditions" and "The Adventures of the Quest". These took him on assignment to dive and explore some of the more remote regions of the world including Australia, Alaska, Mexico, Canada, Florida, Cuba, Papua New Guinea, Vanuatu, New Caledonia, Fiji, New Zealand, Guadeloupe Island, the Bahamas, Dominican Republic, Belize, Dry Tortugas, Navassa Island, Costa Rica, Cocos Island, Galapagos Islands and Lord Howe Island. Andrew with James Cameron on the set of the movie SanctumIn 2001, Wight joined James Cameron's Earthship Productions and produced Cameron's 3D IMAX films and television specials, including "Ghosts of the Abyss", "Expedition: Bismarck", "Aliens of the Deep" and "Last Mysteries Of The Titanic". 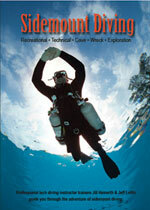 In 2011 Andrew produced a fictionalised version of his 1988 Pannikin Plains cave diving expedition, the 3D feature film "Sanctum" with Executive Producer James Cameron. This was the highest grossing Australian movie in 2011. Andrew passed away in a helicopter accident in New South Wales on February 4, 2012. World renowned underwater photographer Mike deGruy was also killed in the crash.